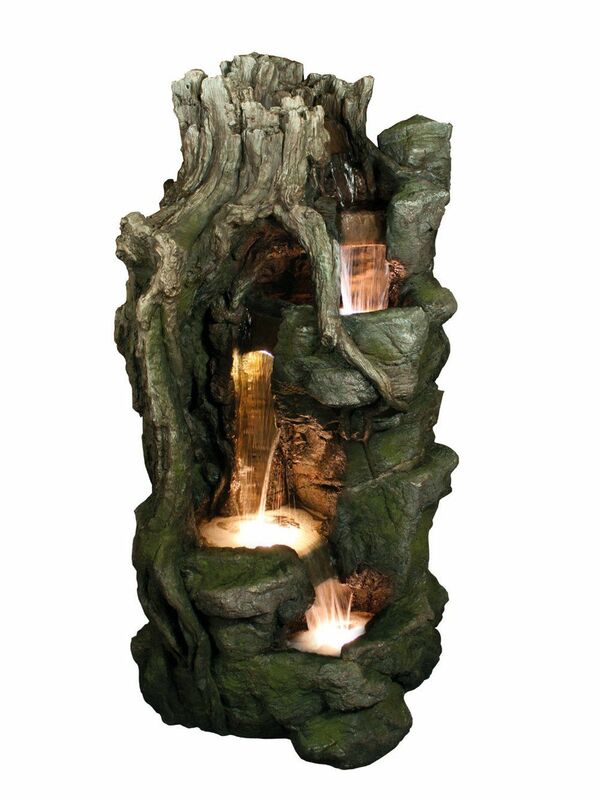 The Rock & Wood Falls by Aqua Creations is a stunning highly durable resin water feature. With its high end detailing this feature will be one not to miss. Suitable for indoor and outdoor whether it's at home, in the garden or on a patio, this will become the main focal point of its chosen location. This feature is supplied with 4 LED lights to light up each of the pools within the feature, to give it that extra wow factor. Rock & Wood Falls Water Feature - customer reviews.